When thinking of celebrities and famous folks, we usually envision them living in mansions and the type of swanky digs that boast more rooms than they know what to do with. What we sometimes forget is that at one point before these people had become household names (and even sometimes afterward), they lived in modest conditions with roommates. Just like anyone, these living arrangement sometimes led to life-long friendships and other time ended in less than BFF status. From Brad Pitt to Kristen Stewart, you don’t want to miss this surprising list of celebrity roommates who shacked up together in the past! One-time child stars Lindsay Lohan and Raven-Symoné met during a Vanity Fair fashion shoot and the two sometimes red heads quickly bonded and decided to share an apartment… sort of. The That’s So Raven star recalls, however, that Lohan was barely around during the 14 months that they shared the place. “She became real busy with work, and she never really moved in,” Symoné said “Pretty cool roommate. Great shoes! She left all her shoes in the house. I was like man! I’m a good roommate because I didn’t wear them, Lindsey!” We guess she would say: that’s so Lindsay! With both of their dreams set on acting, the future stars decided to move to Los Angeles and share an apartment. Along with living together, Smart and Larter also took acting classes together. Now one of Hollywood’s most famous pair of gal pals, the two scored big when they reunited on-screen in the 1999 flick Varsity Blues. 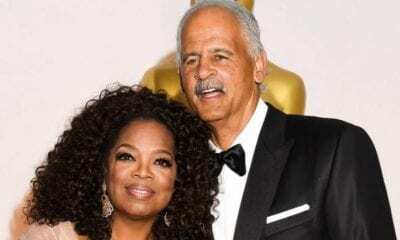 They’re now both recognized as huge celebrity heartthrobs, who are married with multiple children and living in sprawling Los Angeles mansions. But, back in the early ‘90s, Justin Timberlake and Ryan Gosling were young aspiring stars showcasing their singing and dancing talents on The All-New Mickey Mouse Club. Although it was technically only for a week, Emma Stone and Bradley Cooper shacked up together in Hawaii during the filming of their 2015 movie Aloha. Although they had been staying in places on opposing side of the island until then when Cooper’s lease ended and moved in with his co-star. “We were roommates,” the La La Land actress said in an interview before Cooper jumped in and specified, “Housemates!” Apparently, he had is own “little enclave” at the tropical abode. Sounds like true paradise to us! The ‘90s saw Beverly Hills 90210 star Jason Priestley and Thelma & Louise beefcake Brad Pitt become full-blown Hollywood hot shots. Before the two actors became some of Hollywood history’s biggest heartthrobs, their pulses were racing to make rent in their shared LA bachelor pad in the late ‘80s. Priestly later acknowledged that, at the time, the struggling actors “lived on Ramen noodles and generic beer.” Although they were close back in their pre-fame days, the hunks largely grew apart after making it big. “Our careers went in such different directions that we sort of lost touch with each other,” Priestly later said. You won’t believe the next famous pair of celebrity roommates! Lea Michele and Dianna Agron once shared an on-screen rivalry as costars on the teen TV sensation Glee. The two musical dramedy darlings ditched all the drama offscreen, however, and got along in perfect harmony as roommates in 2009. Of the arrangement, Michele told New York Magazine: “We have these smackdowns at work and come home and are like, ‘Wasn’t it so funny when we were fighting today? Let’s make cookies! '” The Hollywood housemates were also pretty in tune as they were both vegans. Before Lauren Graham and Connie Britton landed some of TV’s most recognizable mom roles, they used to roommates who apparently had a ball living in a manner that they’d never approve of for their respective on-screen daughters, Rory and Julie. Sometimes it’s hard to imagine movie stars living anywhere but fabulous, sprawling Hollywood houses, but celebrity best friends often bunk up during filming on location. Such was the case for Twilight co-stars Kristen Stewart and Nikki Reed, who lived together in Vancouver during the production of New Moon. “We didn’t go out that much,” Reed said of their time as roommates. Instead, the cast of the fantasy epic would often come over for group dinners. “Peter Facinelli is a great cook and so he made us pasta,” she revealed. The arrangement didn’t boast eternal life, however, and the two went their own ways after the film series wrapped. To enhance the drama and dynamic between Michelle Williams and Ryan Gosling in the film Blue Valentine, the movie’s director suggested the stars shack up together for a week. The on-screen married couple ended up living together for a whole month! “He’s hard to hate,” Williams chuckled of the experience. “It’s hard. He does the dishes, and he takes care of the kids!” It appears the move did the trick as Williams received an Oscar nod for her performance in the movie and both actors got Golden Globe nominations. Now that sounds more like happy Valentine. Believe it or not, these screen sirens shared an apartment back in the day. As it happened, the two actresses were as thick as thieves back then, but their living situation caused for some turmoil that put an end to both their friendship and living accommodation. Just before Paltrow landed the role of Viola in the Oscar-winning film Shakespeare In Love, the gal pals apparently cut ties over a reported dispute about auditions for the movie. Paltrow reputedly went for it after she found Ryder’s copy of the script lying around the house. Still, both leading ladies are recognized for their prolific careers and their headline-making celebrity lives. Keep reading to see which stars used to shack up together before they could afford their own place(s)! When British model Poppy Delevingne made the jump across the Atlantic in 2008 to focus on her career in New York, she found herself at first living with a fellow English rose in the Big Apple – movie star Sienna Miller. “She doesn’t take herself too seriously, which isn’t as common you’d think,” Miller said of her celebrity roommate.The flaxen-haired former flatmates are still friends to this day and can often be seen hanging out with Poppy’s equally as famous and glamour sister, supermodel-turned-actress Cara Delevingne. Long before The Daily Show’s previous long-running host Jon Stewart was running skits on former New York congressman Anthony Weiner, the two shared an apartment (well, kind of). Who would have thought that these two major names used to live together the summer after graduating college? More technically speaking, Stewart and Weiner’s girlfriend at the time rented an apartment in New York together, and the later was there enough that they were practically roommates. For better or worse, depending on which one you ask, their paths crossed more than once in the course of their lives and careers. This famous pair of friends has done it all together from their early days as childhood buddies to their acclaimed Hollywood breakout with Good Will Hunting and their respective ascents to total stardom. Therefore, it’s no surprise that Matt Damon and Ben Affleck also lived together for a time. In fact, Badgley’s Gossip Girl co-stars Chace Crawford and Ed Westwick had asked him if he wanted to join them in their New York apartment, but Badgley was pretty content with his setup and stayed with his famous roommate. Sounds like things worked out pretty well for the guys of Gossip Girl and Gilmore Girls. Before they were the queens of quirky comedy, Crazy Ex-Girlfriend creator Rachel Bloom and Broad City creator Ilana Glazer were two aspiring writer-actresses bunking up together in New York. The two moved in together in 2010 after they finished college and we’re sure hilarity ensued. In 2016, Bloom took to social media to give her former apartment mate a shout out: “6 years ago we were roommates in Brooklyn and now we have tv shows,” adding that Glazer “is just the best.” Honestly, this just makes so much sense. You won’t believe the next pair of former celebrity roommates! British-born actors Jude Law and Ewan McGregor are now known as some of the film world’s most talented leading men. However, before the two became household names in Hollywood, they were housemates in the early ‘90s. The now-famous pair had initially met in Los Angeles in 1990. Their luck changed when McGregor was cast in the cult classic Trainspotting. The two then took their relationship to the next level, co-founding their own production company, Natural Nylon, in 1997 along with Law’s then-wife Sadie Frost. Famous friends Holly Hunter and Frances McDormand go back way before their six Oscar nods and two wins between the two of them. The accomplished actresses met in their college years and got along so well they continued living together in New York after graduating before taking the leap and moving to California. “We had a blast. We stayed up there for a couple years, and then she did Blood Simple. After that, Joel Coen sort of moved in with us and they eventually got married. It was a great chapter,” Huner recalled of the time before they went on to star in the Coen Brother’s Raising Arizona and McDormand in Fargo. That’s one star-studded squad, dontcha know? We’re now used to seeing these English actors on the big screen, but before Andrew Garfield and Eddie Redmayne made it big they were pals with big dreams. The bromance between these Brits started when the Spider-Man actor and the Fantastic Beasts star met at auditions along with Fifty Shade of Grey lead Jamie Dornan. Strapped for cash and happy to have found kindred spirits, the ambitious trio shacked up when they first crossed the pond and tried to take on Hollywood. The now-famous friends likely don’t feel the need to share sandwiches like they did in their pre-stardom days. Former celebrity roommates Jonah Hill and Justin Long starred as on-screen BFFs in the 2006 comedy Accepted. As it turns out, the pair of funny guys were actually buds before their careers took off and lived together as roommates for a while. Known for their hilarious antics, things weren’t so funny for the cohabiting comedians when they started to bicker “like an old married couple” over their living styles. Luckily, moving out seemed to salvage the friendship and the two are still thick as thieves today. When Reeve had his horseback-riding accident in 1995, Williams offered to pay any medical bills that weren’t covered by insurance. Channeling his beloved character Patch Adam, Williams visited his friend Reeve in the hospital and managed to make him laugh again. The next couple of celebrity roomate pairing will definitley surprise you – read on! Long before The West Wing and the Mission Impossible franchise, Rob Lowe and Tom Cruise were a couple of up-and-coming stars trying to make it big in show business. Lowe was 17 and Cruise 19 when they shared a room at the Plaza hotel in New York during auditions for The Outsiders. The aspiring comics hadn’t yet reached fame, but they weren’t as penny-pinched as some of their other peers when they were starting out. The roommates were able to have monthly feasts at Red Lobster. And even when the future Happy Gilmore star landed his spot on SNL and moved to New York, he continued to pay Apatow rent just in case he got fired. 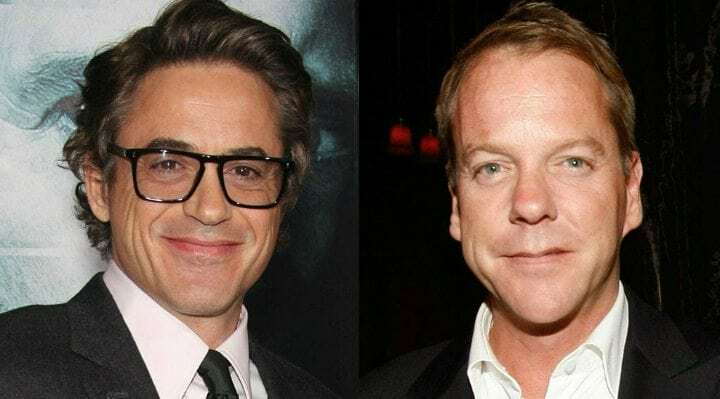 Since the late ‘80s, Robert Downey Jr. and Kiefer Sutherland have basked in the limelight of stardom. However, before striking it big and garnering reputations as iconic tough guys, the Iron Man and 24 stars had each other’s backs when they lived together for three years in their L.A. bachelor pad. The relationship between the future Tony Stark and Jack Bauer actors traversed from personal to professional when they worked together in the film 1969. Until this day, the famous friends have remained close and when they’re not saving the world on screen, they can be spotted antique shopping together. Go figure! Coincidentally, it was thanks to Harvard University that green-initiative-loving politician Al Gore and Men in Black actor Tommy Lee Jones were paired as freshman roommates in the dorms. Then-football star Jones and the future Nobel Peace Prize winner turned out to be such good buds that they requested to live together for the remainder of their college years. Gore and Jones’ youthful escapades included conspiring to form a country music band to gain the attention of the ladies. Years down the line, the recognizable pair remained friends. Jones even gave a heartfelt speech at the 2000 Democratic Convention when his old roommate was nominated in the presidential run. Michael Douglas admits that it can be hard to find true friends after finding success in show business. For that reason, many of his closest friends are those he knew before becoming famous. One of those near and dear to the Spartacus star is none other than the legendary Danny DeVito. Don’t miss the next couple of celebrities who used to live together before making it big! Acclaimed filmmaker Wes Anderson and actor Owen Wilson first encountered each other as dorm roommates at the University of Texas. Already interested in the world of performing arts, the future director of The Grand Budapest Hotel cast his roommate in a college stage production and from there a great collaborative duo was born. Their time as roommates even inspired future projects together, notedly one incident in which the future Hollywood A-listers left their apartment unannounced after a dispute with their landlord and were later found by a private eye. That incident provided material for their short film Bottle Rocket and the two have worked together on other films such as Rushmore, The Royal Tenenbaums and The Darjeeling Limited. 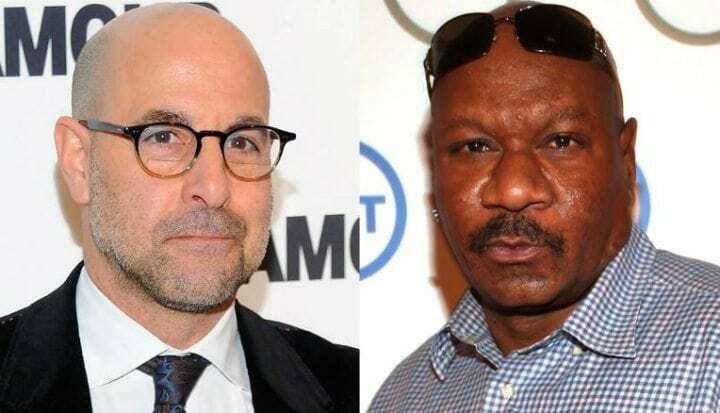 Pulp Fiction actor Ving Rhames has his old college roommate, The Devil Wears Prada actor Stanley Tucci, to thank for suggesting he go by his nickname that we all know him by now. Tucci apparently thought “Ving” had more of a ring to it than Rhames’ legal name – Irving. The future bankable stars were roommates for a year until Rhames transferred to Julliard. Nonetheless, the two New York natives reunited years down the line in Hollywood when Rhames presented his old friend with a Golden Globe award in 1999 for his part in the docudrama Winchell. Who would have thought that these two former roommates would go from sharing an apartment in Australia to winning Oscars in Hollywood? While studying acting Down Under, the Lethal Weapon star and the Pirates of the Caribbean actor lived together for four months. The former flatmates went on to have prolific careers, even starring opposite each other inthea 1979 production of Waiting for Godot in Sydney. Among his popular works, Gibson won two Academy Awards for his 1996 blockbuster Braveheart and Rush took home an Oscar for his Best Actor in 1997’s Shine. This pair of celebrity roommates from Chicago actually go even further back than when they shared an apartment in the Windy City. John Cusack and Jeremy Piven actually met as children at a professional theater workshop that the latter’s parents ran (and still runs). Early in their careers while still struggling actors, the High Fidelity star and Entourage actor lived together. 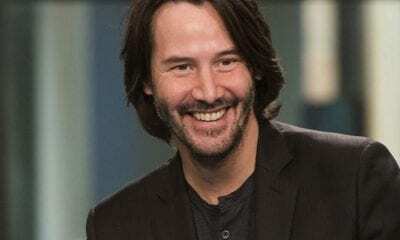 Their paths crossed often after they found success and the former roommates worked together in some 10 movies including Say Anything, Serendipity and Runaway Jury. Marilyn Monroe and Shelley Winters both became some of entertainment history’s biggest bombshells. However, before they found big-screen success, the iconic stars were struggling actresses who shared a modest Hollywood apartment in the mid-1940s. The future showbiz legends shared a close friendship that spanned decades. Far from the competitive cattiness that one thinks of among upcoming celebrities, Monroe and Winters were said to have greatly supported and encouraged each other during their time living together. It was reported that Winters even helped teach Monroe how to cook. If you liked this story, don’t forget to SHARE it with friends!